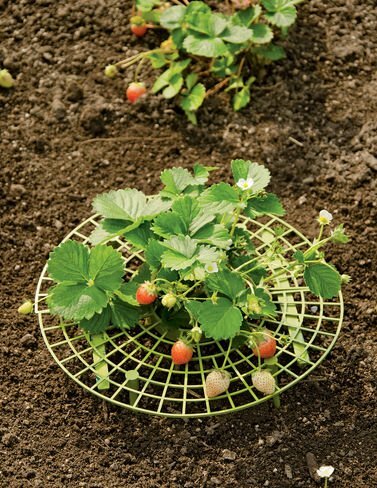 Easy-to-install, adjustable strawberry supports elevate fruit off the ground, allowing air to circulate. This promotes even ripening and minimizes rot. Use in place of straw to decrease mold and mildew problems, especially during wet growing seasons. Innovative design allows for an easy installation on established plants.